The general restrictions were, that the length L on the water-line, plus the greatest beam B plus the greatest draft D, should not be more than thirty-two feet. Also that the boat should not weigh less than 4035 pounds with equipment aboard, and that the sail area rated should not be more than 550 square feet in the main-sail and jib. The table of restrictions you will find under the link Sonder class english. 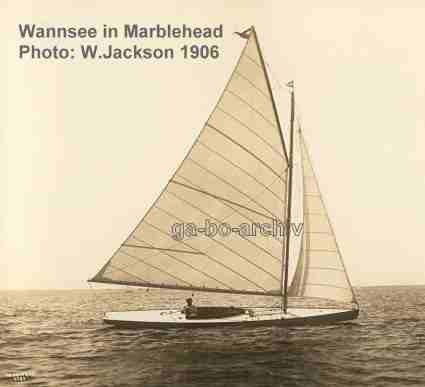 In the summer of 1906 an arrangement was made between the Kaiserlicher Yacht Club of Kiel, Germany, and the Eastern Yacht Club of Marblehead, Massachusetts, for a series of races for the Roosevelt Cup, given by the Eastern Yacht Club, to be sailed in Marblehead in September. The teams were made up of three boats on a side — the first one winning three first places to take the Cup, and this series, is what gave the Class such impetus in this country. There were seventeen boats built to compete in the trial races — the designs varying all the way from the wide flat scow to the narrow sharp-ended hull, with heavy lead. One of the boats that year weighed over 5000 pounds and others were down to the given 4035. In this table you find all famous yacht yards, designers and the wellknown yachtsmen in the Boston area of that time. 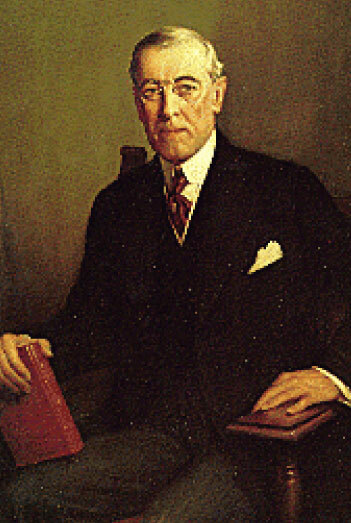 Among all, Charles H. Wheelwright Forster owned about ninety yachts and was a great patron of the principal yachting photographers in Marblehead, W. Jackson . Today you will find his Collection is at the famous Hart Nautical Collection of the MIT. 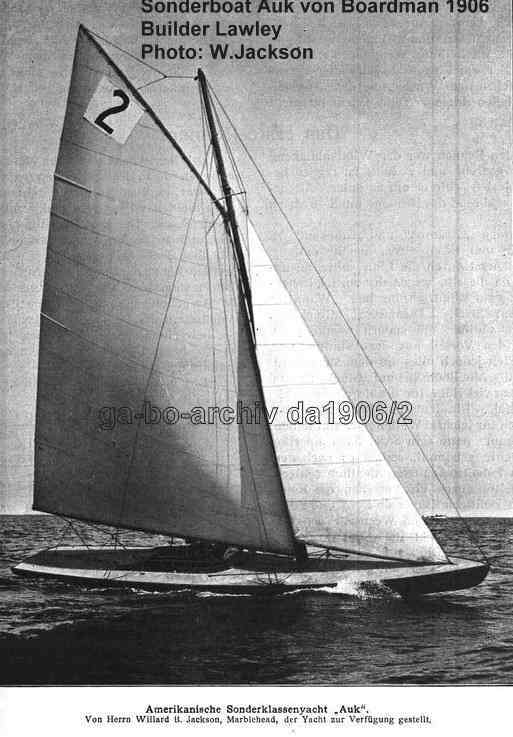 Adams 2nd., who later became the famous helmsman, owned "only" about sixty yachts. AUK with long exaggerated overhang, narrow beam, hard bilged, flat shoal was chosen to be one of the American Defenders. Another, of the same general type, only wider and deeper, with less bilge angle, and smoother lined, proved easily to be the fastest of the fleet in light, smooth weather. Her condition was as nearly perfect as it is possible to get, having a mahogany skin, highly polished by trained piano polishers. She was also chosen (CARAMBA). Construction plan of Sonderboat Auk of E. Boardman, 1906, showing heavy plank-on-edge trusswork bulbed lead. Mast in the position for catboat rig. Later it has been changed to normal rig. 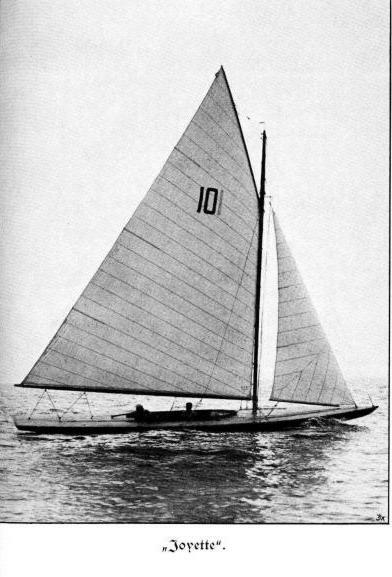 2.Place for Auk, Photo by W. Jackson, published in "Die Yacht"
Sketch from the Auk, catrigged. 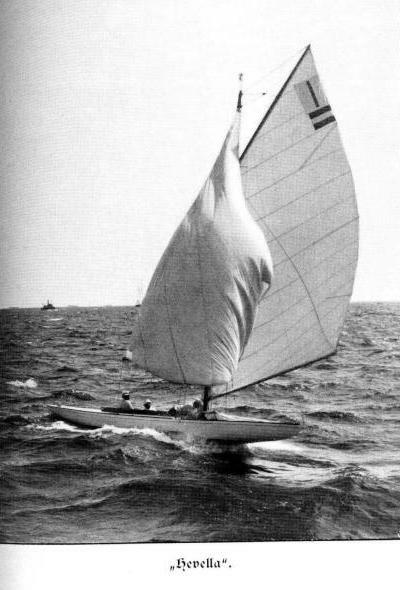 The third boat VIM on the team, and which eventually won the Roosevelt Cup, was of an entirely different type, being narrow with sharp ends, heavy displacement, and a comparatively large quantity of ballast (about 2500 pounds). 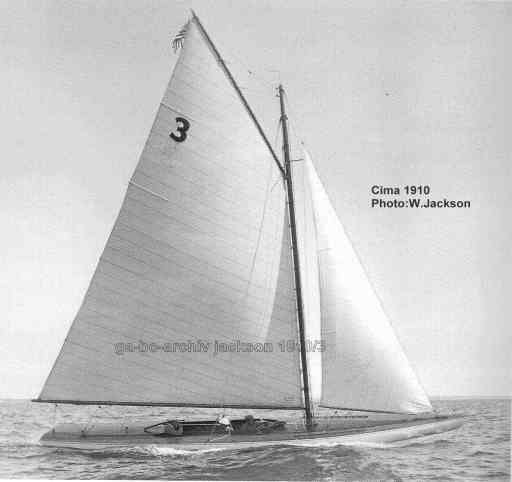 A photo of another German Yacht Tilly by W. Jackson you will find in the German part. 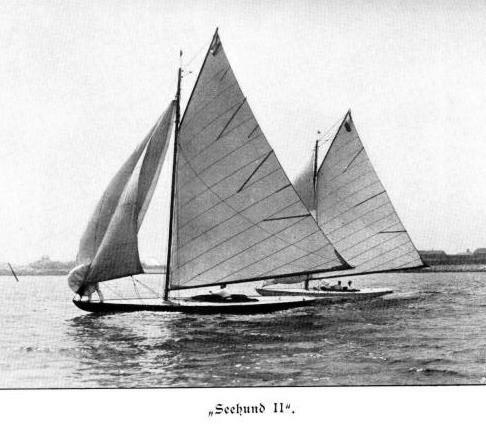 Glückauf IV, one of the German team in 1906, designed by Max Oertz, 1906 same plan like Wannsee, but with separate rudder. 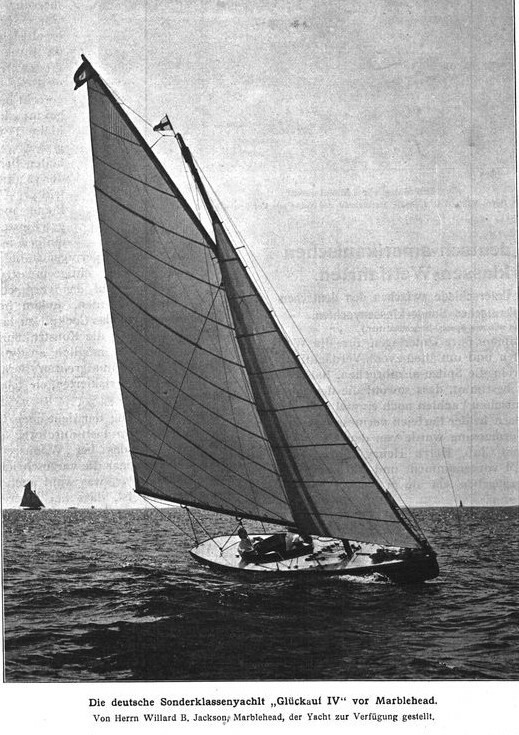 Photo by W. Jackson published in "Die Yacht"
In 1907 there were comparatively few boats in the Trial Races for the selection of the team to go to Germany.Two light weather scows MARBLEHEAD and Chewing VIII and a 1906 boat SPOKANE were finally selected, none of which were first class in any way, though the best obtainable at the time to go to Germany to represent America.. 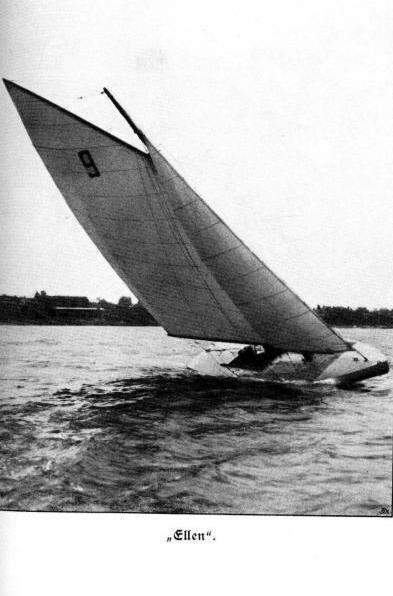 In the races at Kiel, which took place that summer, severe conditions of wind and water were met with, and the German boats, with their low sails, small narrow hulls, and very heavy lead, or ballast, were easily victorious. The only American boat to make any showing was the one with the smallest hull and sharp ends. And here I might add that the sails were very much against the success of the Americans, as they were too full for such severe conditions. The German boats having flat sails had a tremendous advantage, as the wind attained a velocity of forty miles an hour during some of the heavy squalls. The full sails of the American boats were all aback, while the flat sails of the Germans were carried full most of the time. Another surprising point was that on a broad reach in the heavy sea, the narrow, sharp boats carrying full sail were forced through the water at a greater speed than the scows with single reefs, which was all they could carry. Under a less weight of wind pressure the scow would outreach the smaller boat. I looked over the German boats very care-fully in 1907 and they certainly have a great advantage in construction over anything that I have yet seen built in this country. The Spanish cedar used by them has been drying out for years and many of them were built with flush seams, having no calking whatsoever. This insured a good surface under any conditions, as there was no putty to squeeze out; also, instead of using rivets with bungs, of which there are about 4000 in one of our boats, they use small brass or copper nails, small headed, and flush with the outer surface. The skin was varnished above the water; with paint or potlead below the surface, and was polished to a high point of perfection. Their planking is very light, and on account of the small sharp-ended hulls they require very little interior bracing. These facts allow them to carry a very large percent-age of lead to total weight, about 60 per cent, which means about 2600 pounds of ballast — a very great advantage. They were also fairly heavy ; weighing 4300 to 4600 pounds — another advantage in their weather conditions, and so they were able to lug their rigs far longer than the American boats. Their dimensions were very moderate — about 33 to 36 over-all, 4 feet 8 inches draft and 6 feet 6 inches beam, allowing thereby a long water-line of about 21 feet. They had very easy formed high ends, the angle of rise being twice as much as that of the Americans. There were no reverse curves in the profiles, but the overhangs ran straight from the middle body. Their sections were very round, with a heavy dead rise, and forward the sections worked into a "U" shape, while the stern transoms were narrow and the lines on the whole exceptionally graceful, depending on the ballast for stability, having practically no initial stability in the hull. 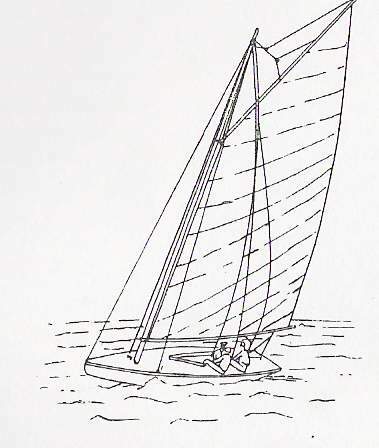 The sails used in 1907 were a great improvement on those used over here in 1906, being well-cut and of good proportions, but of fairly heavy duck and very flat (little draft). They used roller booms for reefing, which are necessary under German weather conditions, as it will sometimes come up and blow thirty or forty miles an hour without any warning, and to be able to reef quickly is a distinct advantage. In one race it was necessary for us, on the boat I was sailing on, to lower our peak, ease the mainsail well off, and reach across the wind for ten or fifteen minutes, while the German boats rolled in a reef and went about their business, gaining many precious minutes in the operation. As before said, the German craft of 1907 were the finest constructed boats of this class I have as yet seen. 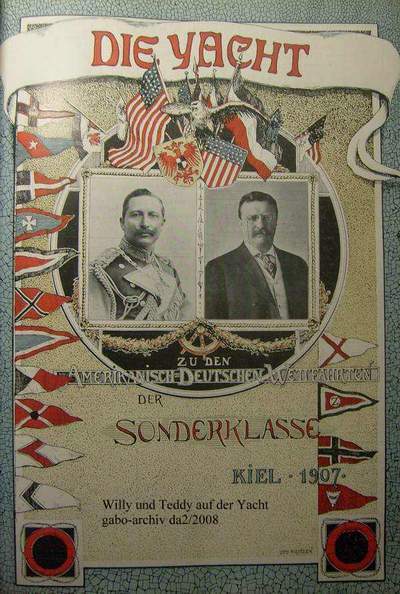 There is tremendous interest in this Sonder Class, mainly on account of its international character It may be of interest as showing the friendly feeling that exists between Germany and the United States, that after the races in 1906 the architects of the American team forwarded their plans to Germany, to be published and used by anyone who might be interested, and to help along the sport. 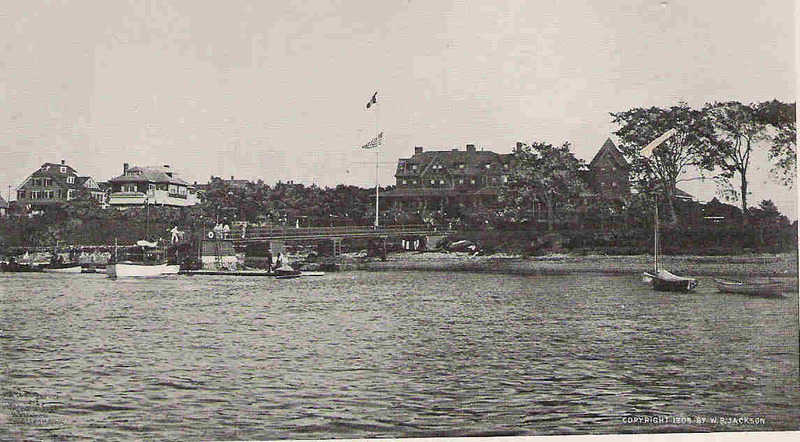 In return the Crown Prince of Germany in 1907 sent me a set of plans of his boat "Angela IV" for use over here. I know of no other international sport where such an open-handed policy Having, in a general way, covered the German and American types I shall say a few words about the Spanish Class that again puzzles the minds of the various designers. 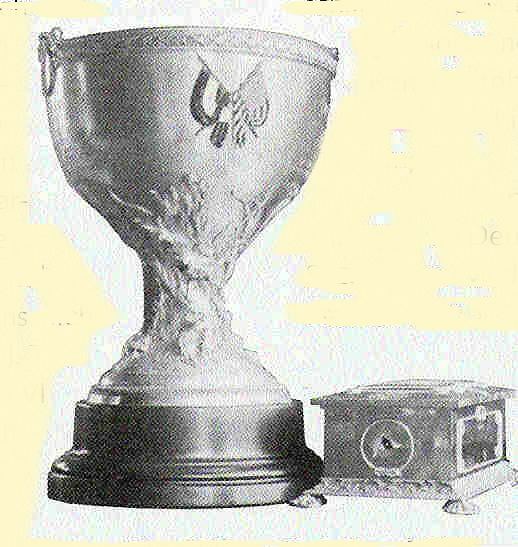 The American team of the year 1907, after leaving Germany, went to Bilbao and San Sebastian, Spain, for a series of races with the Spanish boats. The outcome of this series was a victory for Spain and the winner was an exceedingly narrow, sharp-ended boat with a heavy dead rise on the sections. The races at San Sebastian were drifting matches with an old ground swell rolling in from the Bay of Biscay. 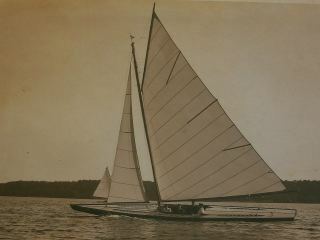 In the early spring and fall, however, hard flat sails are essential, as was proven last year (1908), when one of the large scows, that had won practically nothing up to that time, came out with a flat suit and easily defeated the fleet in three heavy blows, winning thereby the Quincy Challenge Cup, raced for now by the Sonder Class. This win was accomplished mainly by the fact that she was able to point very high and still hold her headway, even though the hull was not especially good under the conditions. It is fair to add that the boat was almost perfectly handled by one of the finest amateurs in the country. In most of the boats the cockpit is amidships, thus bringing the crew over the center of buoyancy where they should be allowed to sit well down in the bottom, as practically none of the boats now use water-tight cockpits, some going so far as to leave out bottom boards or slats entirely, the crew sitting or standing, as the case may be, directly on the inside of the planks and floors. This is done to save weight, as the bottom of the fin is the place for all ballast in these racing machines. As regards structural strains, etc., I have found the best method, and in fact the only one to stand the strain of three years' racing, to be three sets of longitudinal trusses placed between deck and bottom, this only applying to the extreme flat-ended scow, as she is necessarily hard on herself in a seaway, and if the ends drop any the boat will go badly over length. She is only one foot and a few inches from deck to bottom for the greater part of her hull ; has 2000 or more pounds of lead hung in the middle ; and with the low flat ends the pounding in a seaway is very severe, so it is necessary to thoroughly brace her. Plank on edge trusses, with lattice work and uprights, tie rods, etc., are very essential for this form, and it has always seemed to me to be the most satisfactory bracing, as well as the lightest. These trusses are shown on the construction plans very clearly. 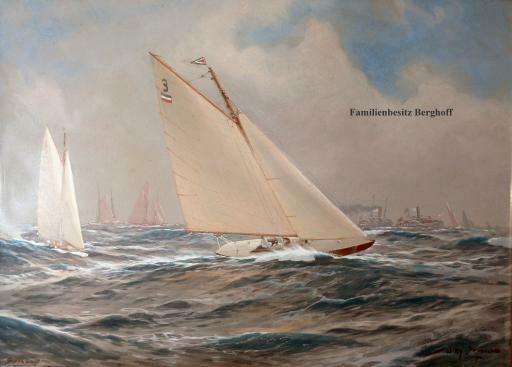 A painting by the famous Marinemaler Prof. Willy Stöwer, showing Seehund in front of Ellen in Marblehead. 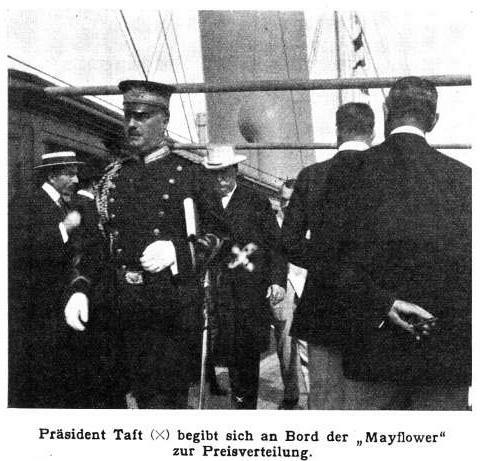 On bord of the Yacht Mayflower President Taft is giving the cup to the winner of the races, the Joyette. 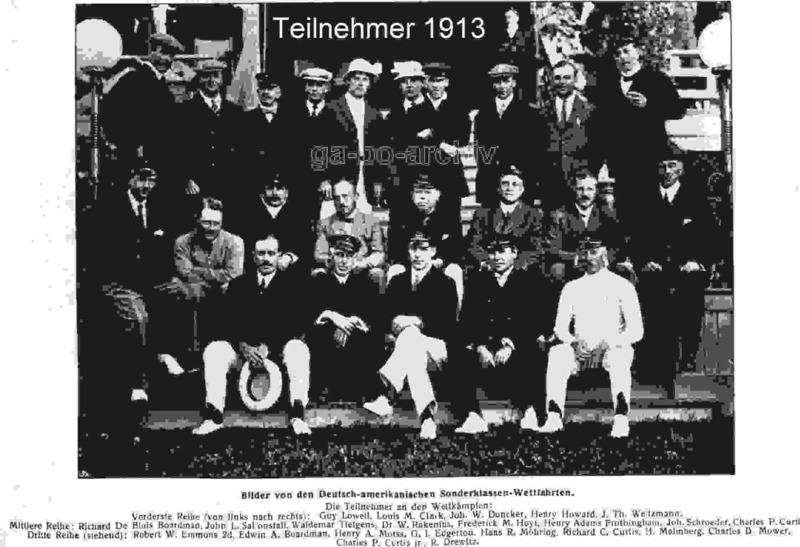 German participians: Seehund III (Jaekel), Tilly XIV (v. Hacht), Wannsee IX (Oertz). Bibelot, designed by Nat. 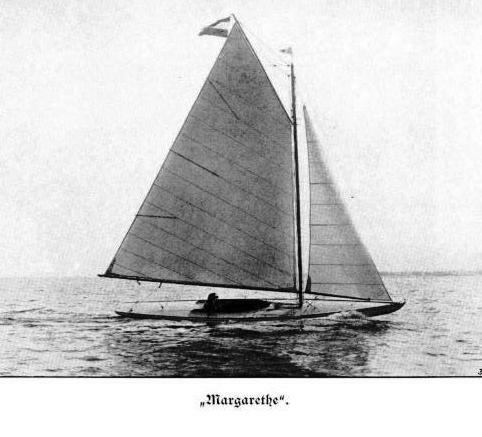 Herreshoff and built at the Herreshoff boatyard in Bristol in 1910, came to Kiel as one of the three boats mentioned above. Bibelot was the first of all. She wone all races at every wind. The Kaiser was so enthusted, that he bought the boat immediatly after the race. Many designers tried to copy her, but no one reached her performance. 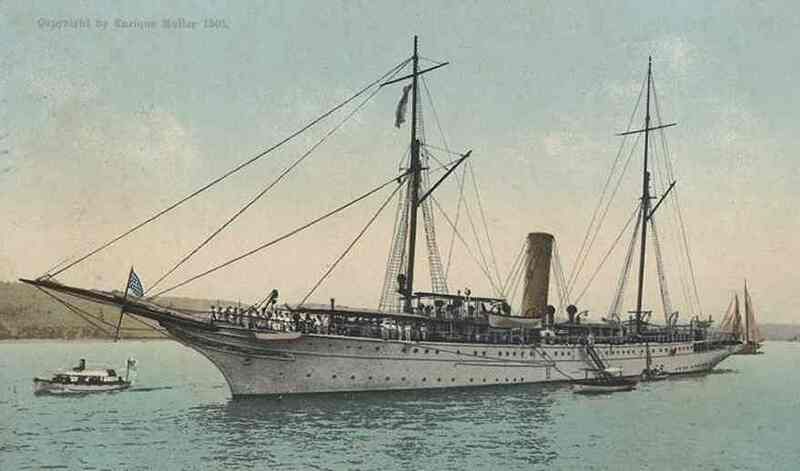 Later she was given to the KYS (Kaiserliche Yacht Schule). Under such hard conditions as a school-boat for youngsters she lived until 1939. 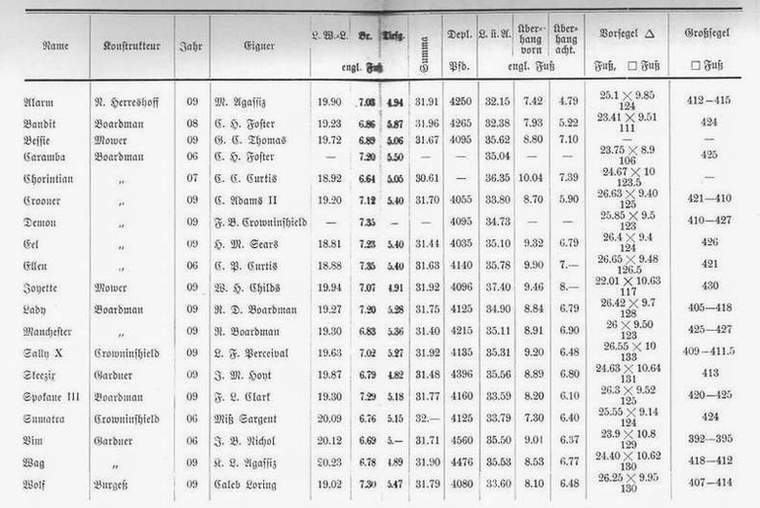 According to her there were build three new Sonder Class Boats in the end of the 20ies century: Bibelot II, Fima and Rosenwind. 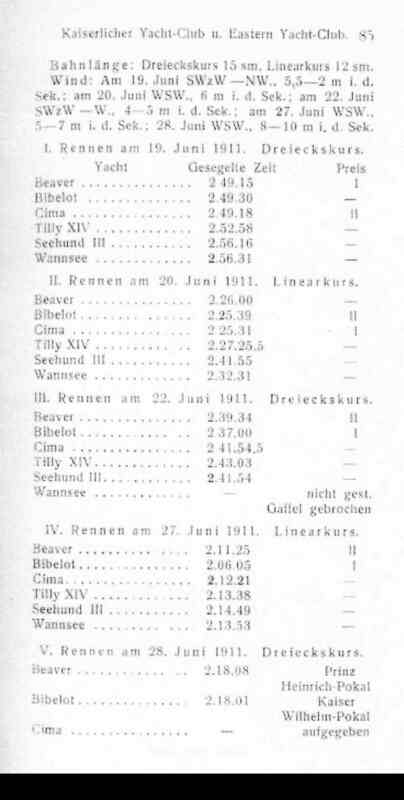 From 1906 till 1910 ,international Sonder racing alternated between Marblehead and Kiel with each nation winning in its homewaters. 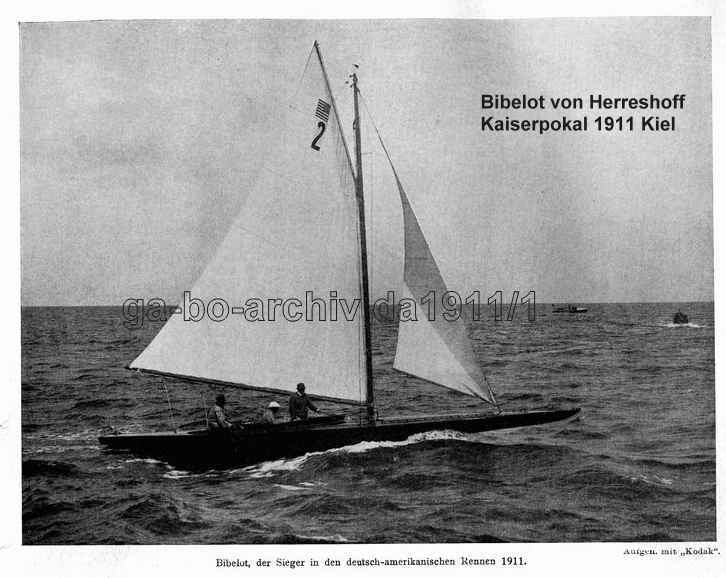 In 1911, Americans made a serious attempt, winning in Kiel that summer with Bibelot, constructed and built by N. Herreshoff. Bibelot stayed in Germany and became famous. She was destroyed during the second World War. The Photo is showing Otto Berghoff´s third Sonderklasse Seehund III, sailing in Berlin. In America started 9 Sonders; 7 of them were new: (Otter,Ellen III, Cima III, Sprig, Harpoon, Chance, Dorina, and two Sonders from 1912: Tern, ex Ellen II, and Badger). Jackson Photos are existing. 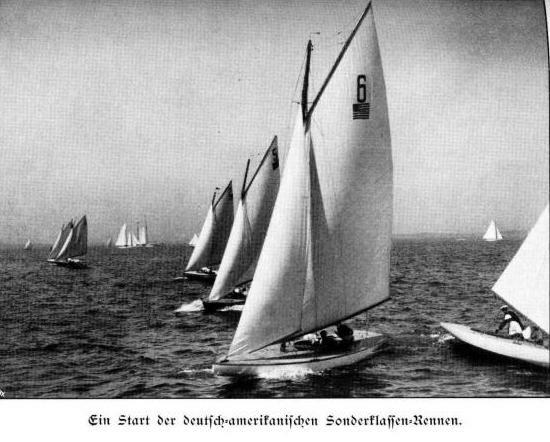 Starting German Sonders: Angela VI, Serum, both designed by another famous naval designer, von Hacht (Serum is later bought by my uncle Hans Schulze named Falkenstein I. Wittelsbach ex Sonntagskind, designed by Drewitz, was the third boat of the German team. Later she went to Austria. Die Einladung aus dem Weissen Haus lautete: ..on Thursday, Septemer 11 th. 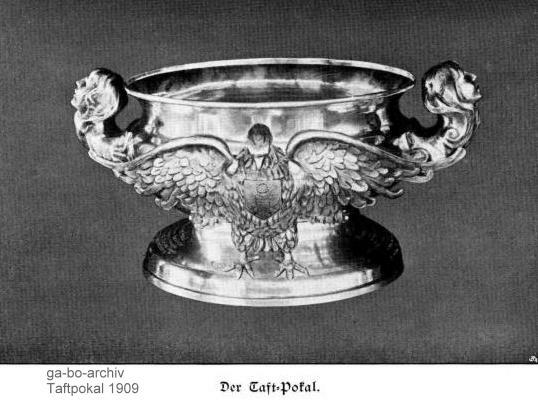 at 12.30 o'clock the presentation of the President's Cup and a buffet luncheon immedeately thereafter" Diesmal fand die Übergabe also im Washington und zwar im Garten des Whitehouse statt .... etc Text2 President Wilson Pokal, given by President Wilson in the Garden of The White House to the winner Ellen. 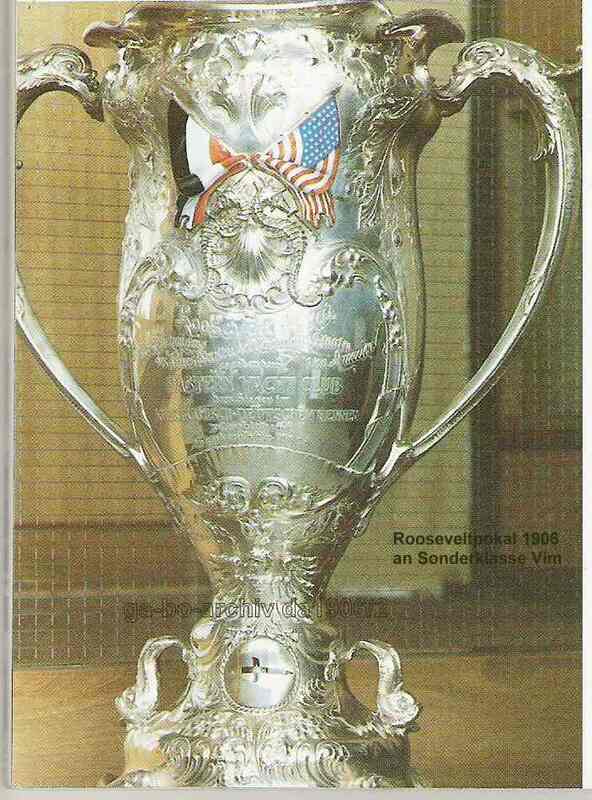 I wonder if the Cup is still in the USA. 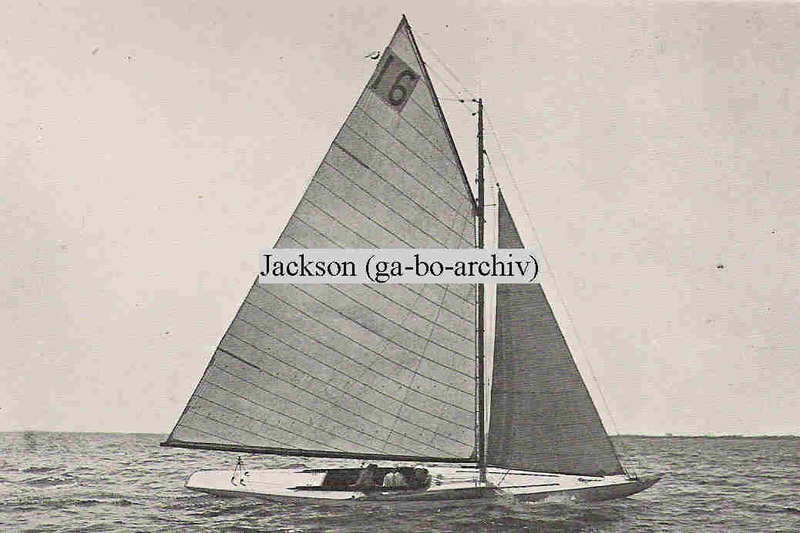 I have found the names of about 50 Sonder Boats built in Amerika between 1902 and 1915 constuctet by the famoust naval architekts Boardman (14 Sonders) Crowningshild () Herreshoff () Burgess () Mower () Gardner () I am still counting. You will see it hear under sonderclass (englisch).